Errigal is well-known for the pinkish glow of its quartzite in the setting sun. It is located on the boundary of four townlands: Beltany Mountain, Dunlewy Near, Procklis, Money More. Despite the name, there are no known remains of an oratory. It may therefore be a metaphorical name for the mountain itself. 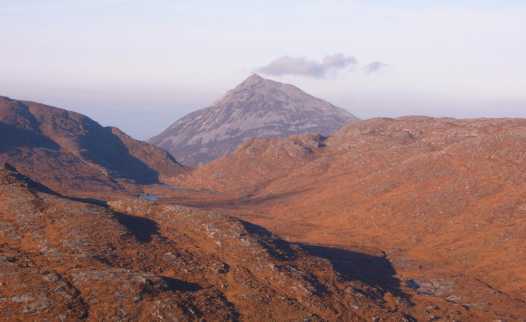 Errigal is the highest mountain in the Donegal NW area and the 77th highest in Ireland. Errigal is the highest point in county Donegal.